J. Michael Straczynski, known for everything from Babylon 5 to Changeling to Thor, led a workshop yesterday offering advice to aspiring writers. He stressed the importance of being true to one's passions... although a little compromise goes a long way. His overarching theme: the importance of writing what you deeply care about. He explained that when he hires a writer, he is hiring that person's unique point of view, and that can only come from writing about your passions. He is interested in those that have a distinct voice and have something to say, and though there is no how-to book to develop those skills, the best advice is simply to trust your instincts. As far as the writing process itself goes, the most important thing you can do is actually finish what you've started. As long as your work remains unfinished, it can't be judged, which might provide a rather cozy bubble but is not the best way to improve as a writer; he noted that spending five years working on a novel won't teach you anything beyond how to do that one thing, while spending that time publishing as many little things as you can will provide you with countless more opportunities to receive feedback and improve. Once you have finished your work, the editing process will likely involve more subtraction and addition. Though some things may genuinely require further clarification, the editing process should generally see a shift from saying everything you can say to everything you want to say to everything you need to say. Editing an entire work also allows you the opportunity to take a larger perspective on a story's problems, as a faltering third act is likely the result of problems in the second. 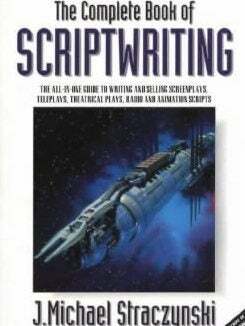 Straczynski stressed that there really isn't any "correct" way to write, and it's up to the individual writer to find a system that works. This might mean improvising as you go or it might mean rigidly plotting everything out beforehand; either way, the most important thing is to write, and to write as many different things as possible. For instance, writing articles teaches you structure, which can then be applied to write better short stories, which in turn help you master dialogue, which helps lead to better scripts. Failure is a key part of the writing process, because there's really no way to figure out where the boundaries and limits are, without occasionally overstepping the mark. He pointed out that those still in college have some of the best options for failure, as there are so many resources from the student paper to theater where you can try new things with none of the repercussions of spectacular failure that one might fear in the real world. Still, those in creative writing classes will likely have to be subversive in order to really progress as a writer, as Straczynski noted academia's reluctance to admit the value of works that could actually be, well, sold and published. For those looking to take the first serious steps into the world of professional writing, he noted that literary agents, while not essential, can be hugely helpful. Since they in part act as gatekeepers for editors and publishers, their feedback can help hone your work into something publishers will really want to buy, and their recommendations of your work can make a huge difference when it comes time to choose which stories to publish. Of course, with any professional success in writing comes the danger of ceaseless notes and senseless criticism from those that want your work to adhere to a strict formula. Straczynski noted that, while it can be frustrating to deal with those who simply want to place all stories inside the same box, there are really only two options: swim with the tide or against it. The best thing you can do is make all the changes you find unimportant while being prepared to stand up for those parts that really are too important to you to change. This give-and-take, while far from perfect, at least allows a more realistic chance of maintaining some measure of creative control. Above all else, remaining true to your passions is what will lead to your best work and give you the best chance at success. Although in all of this there is the rather obvious factor of, well, talent, the fact remains that you have to be truly invested in what you're writing for it to have any power at all, and as long as that you keep that one notion firmly in mind the rest can be left to fall into place.